Successfully completed a course on ‘Climate Change and Health’ at Institute of Public Health, University of Heidelberg, Germany. National Resource Person of the Ministry of Panchayati Raj for decentralised participatory planning by Panchayats (GPDP), Key trainer for SDGs and Local Governments. Was part of the team as a consultant to the study on ‘Health and development status of Kerala after a decade’ (1997) conducted by Integrated Rural Technology Centre (IRTC) of Kerala SasthraSahithyaParishad (KSSP). This was a repeat of the 1987 survey and the tasks were the same. Consultant to the study on ‘Health and Development in Rural Kerala’ conducted by Integrated Rural Technology Centre (IRTC) of Kerala SasthraSahithyaParishad (KSSP 1987). Instrumental in helping to design the survey, train data gatherers and analyse the data later. Presently the President of KSSP Delhi Forum. Decentralisationof Health Services: The Kerala People’s Campaign. International Journal Of Health Services, 34;4:681-708 With Richard W. Franke And Ekbal B. Paper on ‘Agricultural Development and Japanese B encephalitis of Kuttanad’ in MFC bulletin and this paper was considered as the background paper for the annual theme meet on ‘The resurgence of infectious diseases’ in January, 1998 at Wardha, India. Paper on ‘Gender Differentials in Immunisation Status of Children in India’ in the ‘Journal of Family Welfare’, vol.4, 1998. 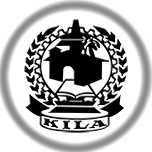 Kerala Institute of Local Administration (KILA) is an autonomous institution functioning for the Local governments in Kerala. It was registered under the Travancore-Cochin Literary, Scientific and Charitable Societies Act 1955.